Studying can be a frustrating task for students, especially for subjects that don’t interest them. While it’s easier said than done, experts recommend turning your subject fun (or interesting) with visual diagrams or charts. Or you stay hopeless confused, just like me. 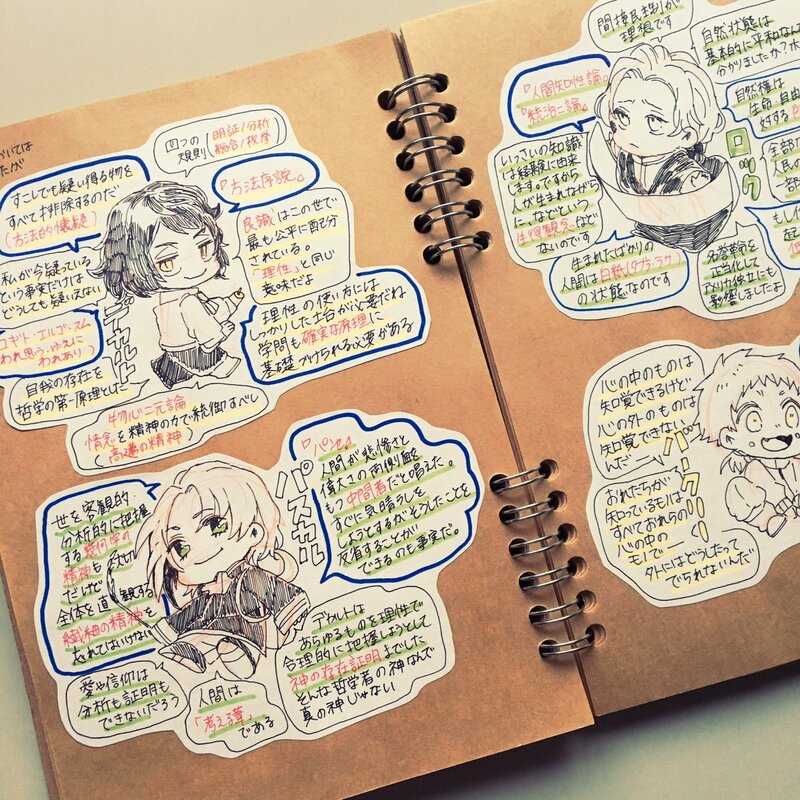 Visual learning can be super helpful, but Japanese Twitter user @10_foOo_wim took their learning to new heights with sketches! 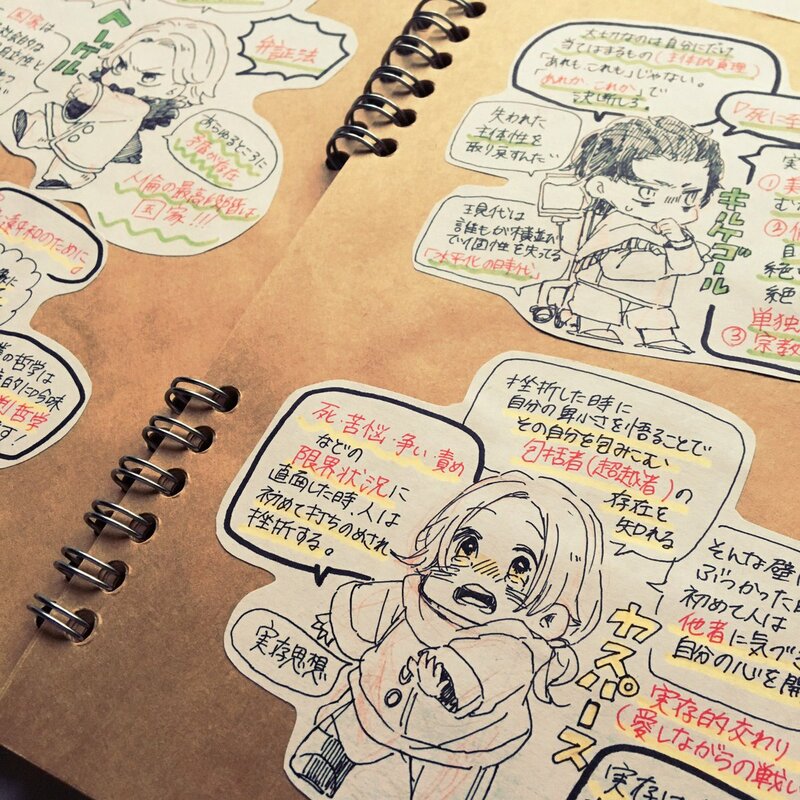 @10_foOo_wim was having trouble understanding philosophy while studying for their college entrance exams, so they drew super deformed versions of philosophers and surrounded them with their key beliefs. 126 philosophers were drawn, but their favorites were shared on Twitter. Clockwise: John Locke (English philosopher), George Berkeley (Irish philosopher), Blaise Pascal (French philosopher), and René Descartes (French philosopher). Top-to-bottom: Søren Kierkegaard (Danish philosopher) and Karl Jaspers (German-Swiss philosopher). @10_foOo_wim used these cute study aids for three weeks and their practice exam scores rose from 50 percent to 80 percent! Making studying fun sure goes a long way to improving your test scores.